Peachtree Publishing Company, 9781561458486, 32pp. 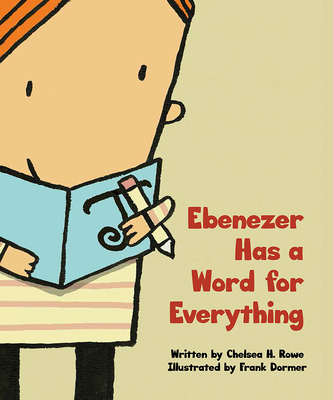 Ebenezer collects words. But it's hard to find someone who shares his passion. No one seems to understand Ebenezer's word collections, but his efforts are finally appreciated when he meets Fitzgerald. Fitzgerald doesn't have a word collection--but he does have lots of ideas. Together, they can make stories. Chelsea H. Rowe's offbeat story about friendship, collaboration, and a love for both language and stories is perfectly depicted by Frank Dormer's quirky illustrations. Perfect for vocabulary building, this book also includes a list of words and definitions in the back.